Remarkable Television, part of Endemol Shine Group, has announced that Channel 4 Daytime has commissioned a bumper 60 episodes of gameshow, The £100K Drop. 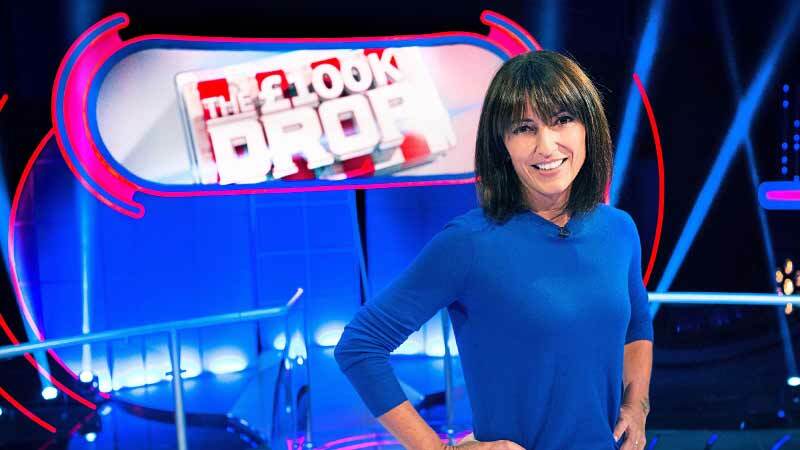 To be filmed at dock10, the show will air in an afternoon slot and sees host Davina McCall at the helm as a raft of brave new contestants take on the dastardly Drop and attempt to win a jackpot of £100,000. Host Davina McCall says "I literally love hosting this show and couldn’t be more thrilled that we are back and coming to daytime! £100,000 is a properly life-changing amount of cash and I’m crossing my fingers for some big money wins. I can't wait to see you all every weekday afternoon." Syeda Irtizaali, Channel 4 Commissioning Editor, Entertainment said, "I’m delighted this award winning, brilliant game show with its heart pounding tension and addictive gameplay will be returning daily to Channel 4 for a new audience to enjoy. I am really excited Davina is back at the helm and can't wait to hear her utter those famous catchphrases 'move your money' and 'let's see what's about to drop' once again." Richard Hague, Head of Entertainment at Remarkable Television said "The £100K Drop has all of the original format’s nail-biting tension, genuine jeopardy and excitement as players attempt to beat the Drop, keeping viewers on the edge of their seats. We are very excited to be bringing the show to a brand new audience and overjoyed that the brilliant Davina will be returning as host." The format made its international debut on Channel 4 in the UK in May 2010. Since then, it has become a runaway hit selling to an impressive 54 territories including the USA, Germany, Russia, Australia and Mongolia. The £100K Drop will air on Channel 4 in 2018. It was commissioned by Syeda Irtizaali, Commissioning Editor, Entertainment for Channel 4 and will be executive produced by James Fox and Richard Hague at Remarkable Television. The series producer will be Sam Munday.